And this concludes our story about quitting smoking. In case you missed it, the story starts here. 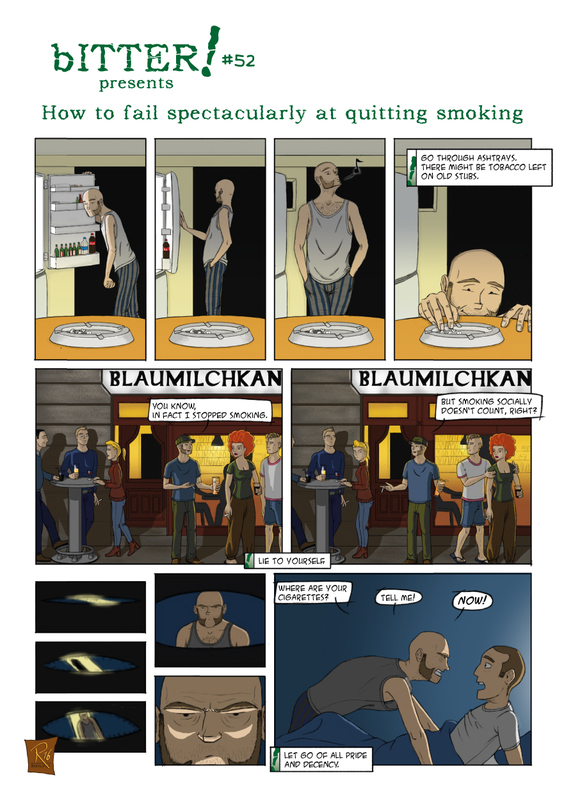 And a shout goes out to Anselm and David, proud owners of the bar ‘Blaumilchkanal’ in Berlin, Prenzlauer Berg which I featured as setting in the second row panels. If you are around and looking for a comfy bar pay them a visit.